"I like what has happened in Manchester, historically, politically, musically, and I've always enjoyed being there – so when I was asked to make a public artwork for Manchester International Festival in 2009, I assembled a procession of the city's people and their activities. It was mostly a celebration of public space and the people occupying it: buskers, smokers, car modifiers, The Big Issue sellers and so on. One of the elements was Valerie's Snack Bar, this café in Bury Market, which just seemed to be a great gathering place for OAPs. The snack bar was almost exactly replicated and put on the back of a lorry and taken for a spin. As with any procession, there are lots of contradictory elements: some are traditional, others are contemporary or even futuristic. I wanted in a way to try and make something a bit like a procession you would see on 'The Simpsons', a sort of social surrealist event full of bizarre, funny, wrong-seeming things." 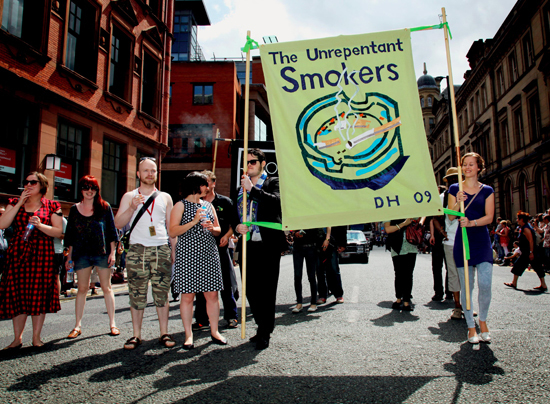 The 'Unrepentant Smokers' with a banner designed by David Hockney and made by Ed Hall. 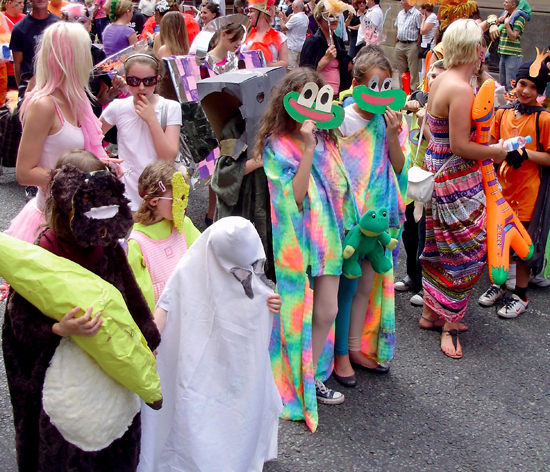 Children in themed fancy dress. Young participants with a banner made by Ed Hall. 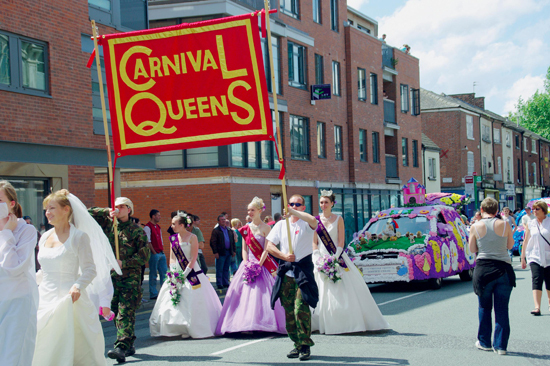 Carnival Queens with decorated cars. 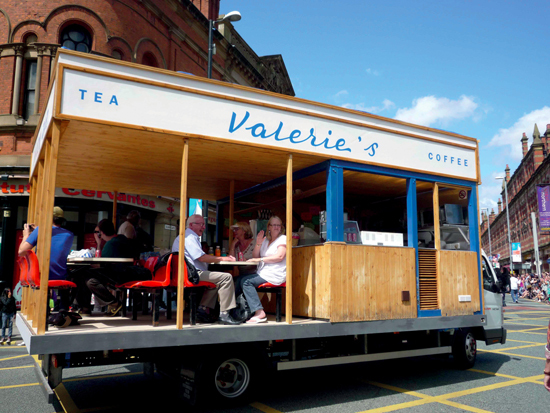 Valerie's Snack Bar installed on the back of a lorry. 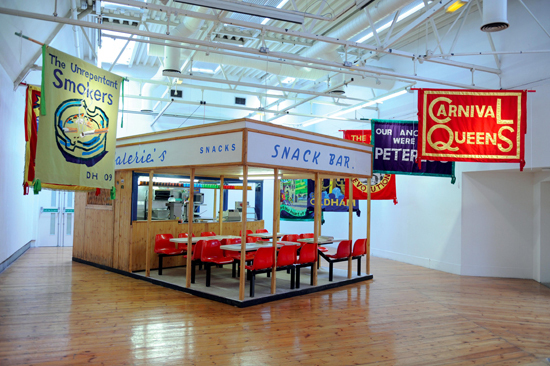 Installation at Cornerhouse, Manchester, with banners by Ed Hall.